This article guides you on how to resolve Cross-Origin Resource Sharing (CORS) errors when using our Amazon S3 Integration plugin. Why do you need CORS? How to configure CORS on Amazon S3 Bucket? How to enable CORS on your Server? When requesting a resource (asset) such as a FontAwesome font or a jQuery script not hosted our website server (origin), you’re in fact making a cross-origin request. Cross-Origin Resource Sharing (CORS) manages cross-origin requests and allows web application running at a particular domain to access resources hosted in other different domains. CORS is necessary as it allows you to set not only who can access the assets hosted on your server, but also how these assets can be accessed. For example, you may want other websites (external origins) to read but not edit or delete your assets. You can do so with CORS by specifying which HTTP request methods, e.g. GET, DELETE, PUT, are allowed from external origins. In case of Amazon S3 and CloudFront CDN, your website actually makes cross-origin requests from your website or CloudFront domain to media files hosted on Amazon S3 bucket. So in order for Amazon S3 to serve these file requests, you need to update the CORS configuration for the Amazon S3 bucket as described below. 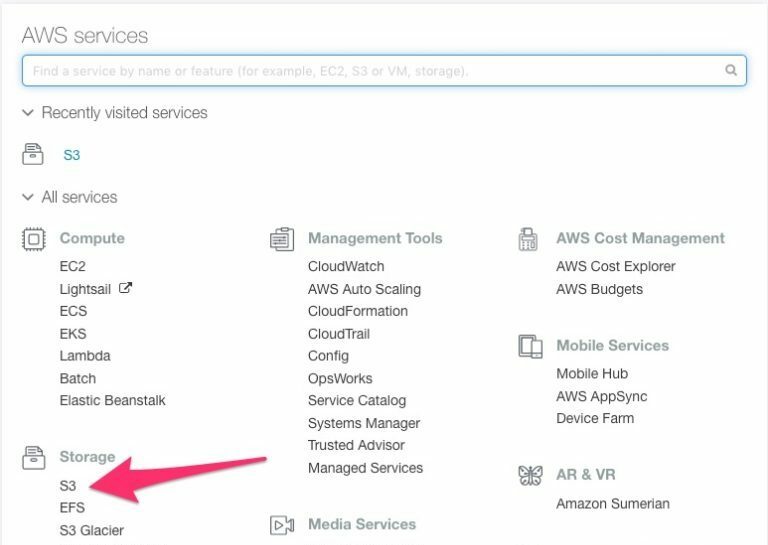 First of all, login to your AWS account and go to S3 dashboard. Next, go to our S3 bucket and you should see the sub-tab, namely CORS configuration when clicking the Permission tab. * refers to all external domains. Alternatively, you can specify a particular domain (http://example.com) instead. Finally, click “Save” to update the changes.